Going back a hundred generations, and not much has changed as far as mankind wanting to share ideas, talents, and hobbies with the world. The early 2000’s brought popularity to social media that progressively became incorporated into everyday life – now for many in 2018, a lifestyle. Thus, creating the strong, influential platform for what network marketing is today. Cyclists, both on the street and the mountain, are of those that have created an American biking movement by doing what they love, and sharing what they do through network marketing. In 2005, there were roughly 38 million people in America who participated in riding their bike on a regular basis, according to Statistica. That number has gone up to roughly 48 million people in 2017. By 2020, Fort Collins, Colorado, is aiming for one in every five trips in the city to happen on a bike. The city, which has around 185 miles of bike lanes–and uses tech-like traffic signals that cyclists can push to stop traffic–ranks one of the best in the nation at making it safe and easy to run everyday errands by bicycle. Portland, OR and Tucson, AZ among other major cities are also pushing for a more progressive biking community. Millions of people over the past decade aren’t buying a bike as a brief meaningless blip for their amusement. New cyclists are drawn to the benefits such as health, travel, economical, and environmental – topics that pertain to everybody. The New York Times recently published a study comparison between biking and running. They argued both as good forms of exercise. 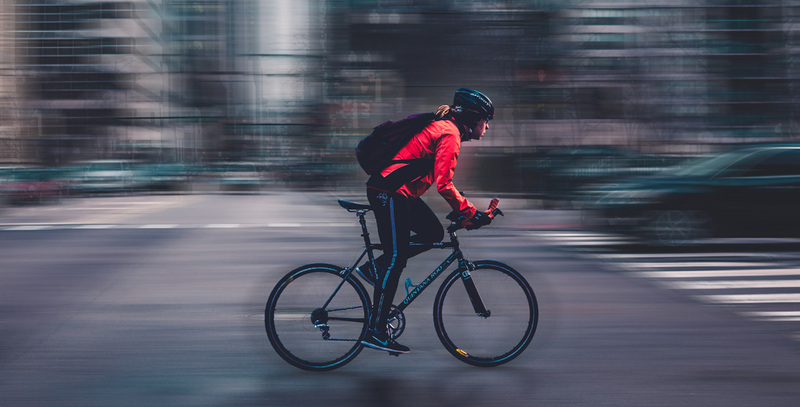 Biking, however, is easier on the body, NYT called it a “nonweight bearing activity that is better for your knees and joints.” Though, news articles are only a small fraction of what is contributing to the biking movement in America. Awareness – Bringing like-minded people together that share a strong interest. Interest – Demonstrate the advantages and benefits of the product. Action – This is when someone buys the product due to how it was presented to them over social media. Satisfaction – This is people posting pictures of the product they purchased on social media. This is network marketing at its finest. Showing customer satisfaction and, in some cases, dissatisfaction. Network marketing may even be too broad of a term to really describe this process. This may be better suited as influencer marketing, which is merely a more specific subcategory of what network marketing is. Influencer marketing through social media is quickly becoming the dominating force for effective marketing strategies, especially among cycling communities that are influencing the rest of the United States.